ROLY-POLY An electron (illustrated) orbits an atom's nucleus, with a cloud of other hypothetical subatomic particles that could squash the electron's shape. But so far, measurements show that the electron seems to be almost perfectly round, providing no hint of yet-to-be-found particles. Electrons are still almost perfectly round, a new measurement shows. A more squished shape could hint at the presence of never-before-seen subatomic particles, so the result stymies the search for new physics. The electron gets its shape from the way that positive and negative charges are distributed inside the particle. The best theory for how particles behave, called the standard model of particle physics, holds that the electron should keep its rotund figure almost perfectly. But some theories suggest that an entourage of hypothetical subatomic particles outside the electron could create a slight separation between the positive and negative charges, giving the electron a pear shape. That charge separation is called an electric dipole moment, or EDM. Searching for an electron EDM can reveal if particles that don’t exist in the standard model are hanging around the electron undetected. Now, the Advanced Cold Molecule Electron Electric Dipole Moment, or ACME, search, based at Harvard University, has probed the electron's EDM with the most precision ever - and still found no sign of smooshing, the team reports online October 17 in Nature. 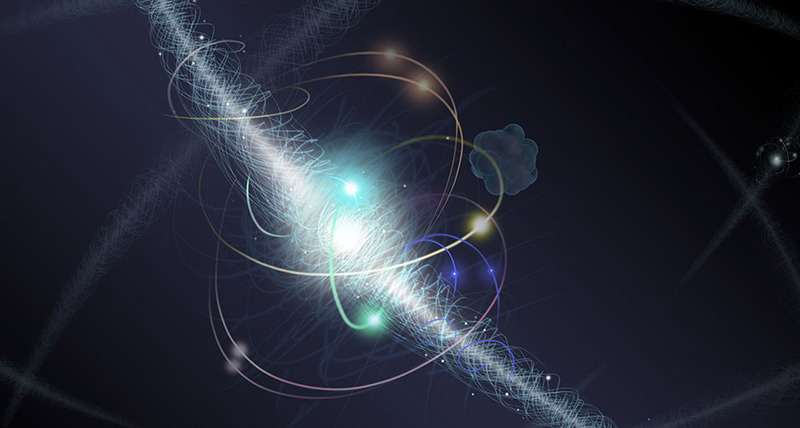 The finding improves the team's last best measurement (SN Online: 12/19/13) by a factor of 10 to find an EDM of 10-29 electron charge centimeters. That's as round as if the electron were a sphere the size of the Earth, and you shaved less than two nanometers off the North Pole and pasted it onto the South Pole, says Yale University physicist David DeMille, a member of the ACME team. That result could make it harder for the Large Hadron Collider, located at the laboratory CERN near Geneva, to find signs of new physics beyond the standard model. The LHC slams particles such as protons together at high speeds to create new particles and probe their properties. Physicists want to find signs of particles that aren't in the standard model because that theory can't explain some crucial features of the universe, like why there is more matter than antimatter. But so far, the LHC has come up empty (SN: 10/1/16, p. 12). The new measurement suggests that any extra particles that exist may be permanently beyond the LHC's reach. DeMille's team tried to make the electrons in a thorium monoxide molecule flop over in an electric field, like how pears tip over due to gravity, to test for the presence of new particles. None toppled, so the team calculated that any new particles that could distort the electron's shape must carry more than 3 teraelectron volts - twice the energy of particles created in collisions at the LHC. "We've now surpassed what the LHC will be able to see," DeMille says. "That's really crossing a threshold for these experiments." There's one way out for the LHC: The ACME calculation assumed a certain explanation for the difference between matter and antimatter in the universe. If that assumption doesn't hold, then the new particles could be light enough for the LHC to produce them. But we'd also be left without an explanation for why matter dominates over antimatter. The proposed successor to the LHC, the Future Circular Collider, could reach such high energies if it is ever built. But smaller and cheaper EDM experiments may beat them to the punch, says physicist Brent Graner at the University of Washington in Seattle, who was not involved in the new study. "The real virtue in doing EDM experiments at all is, if you do see something at the level of what we can detect at the moment, it's a real, unambiguous sign of new physics," Graner says.